Remastered Okami on the PS3? Not So Fast There. No stranger to re-releasing its games—especially Okami—Capcom was rumored to be working on an HD remastering of the game for the PS3. It's not entirely implausible, and it actually makes sense. Thing is, the Japanese site that originally posted the rumor—Game Jouhou—quickly updated its post, stating that, well, the rumor's source wasn't clear and then apologized. Moreover, the site didn't really source anyone for said rumor. There is an upcoming Capcom Summer event on June 30 and July 1, and stuff will probably be either teased or announced there—just not necessarily this remastered Okami rumor. 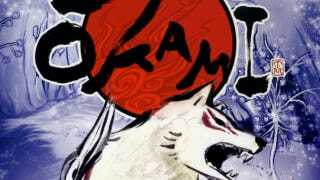 But if Capcom isn't remastering Okami in HD, it damn well should be.